Super slides, bouncy ball pools, rope bridges, ball shooters.... you name it, we'll install it! See below for the range of play centre equipment we can include or add to any play structure. These features are great for making the most of the space you have, as well as providing the best possible play experience for your little visitors. Slides are the most distinctive feature of any play area and often serve as a focal point. Our designers aim to build in a trademark slide to all of our areas, whether it be a simple, soft play slippery slope in the toddlers area, a multi-lane wavy slide, or a 720 degree spiral slide from 6 metres up! Made from British glass fibre or plastic, we use the most appropriate material for the biggest whoosh! We offer a wide range of children’s soft play equipment to supplement an existing area or become a key feature of a new design. We provide a multitude of ideas and themes for all soft play items like balance beams, climb over humps, dizzy discs and see-saws - the possibilities are endless! Tigerplay is always on hand to provide a fast and efficient delivery service on all your ball pool, netting and vinyl needs, to complete that vital day to day soft play structure maintenance. Our cleaning and maintenance team is just a phone call away to address any repair or cleaning challenges you don't wish to tackle yourself. The ball blasters have been designed so that all the working parts are neatly enclosed within the main body of the unit. Foam balls are fed continuously through the plastic inlet. Aim the blaster in any direction using the disc handle/switch. The constant air flow is controlled by a timer box activated by the touch switch handle. This single shot ball shooter is fun and easy to use. Place the foam ball into the barrel inlet, aim, press the trigger button found on the handle and POW! Ready for the next shot. Elevate and swivel the barrel to find your target. This unit requires a control unit and compressed air for power. Safe pods provide a sanctuary for children in busy or loud areas. Research suggests that primary colours of red, yellow and blue can be overpowering and distracting. Blues, green and violets instead provide more tranquil environments. Climbing up and down or just passing through. Cargo nets, spiders webs, webbing decks and crawls, v net bridges and webbing tube crawls, all have a place in any structure and add to the adventurous, tactile feel of the play area. We work with softer rope materials that are sensitive on little feet. 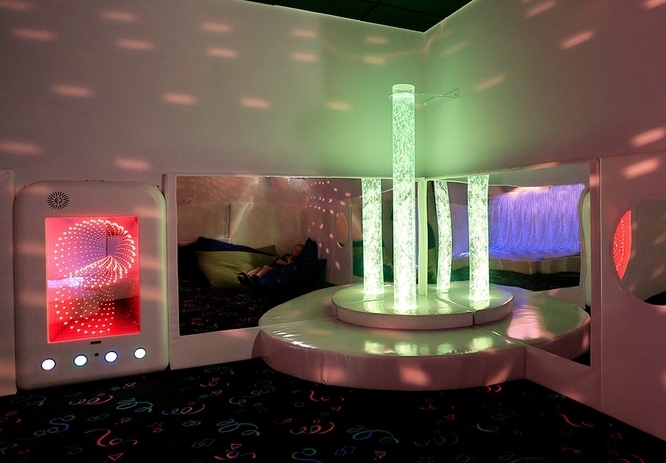 Bubble tubes encourage sensory exploration and discovery, whilst creating a soothing and relaxing environment. These tubes can be enjoyed by everyone, but they can be particularly beneficial for children and adults with special educational needs. This mini ball volcano is a real giggle for the individual or group of toddlers to play. Simply load balls through the side holes into the clear tube and then press the button. Whoosh! An air stream generated from the fan ejects the balls upwards and away. We can also design and manufacture bespoke play features on request. Get in touch today to discuss your ideas with us.